Lot:3025 1912 Indian Quarter Eagle. MS-65 (PCGS). 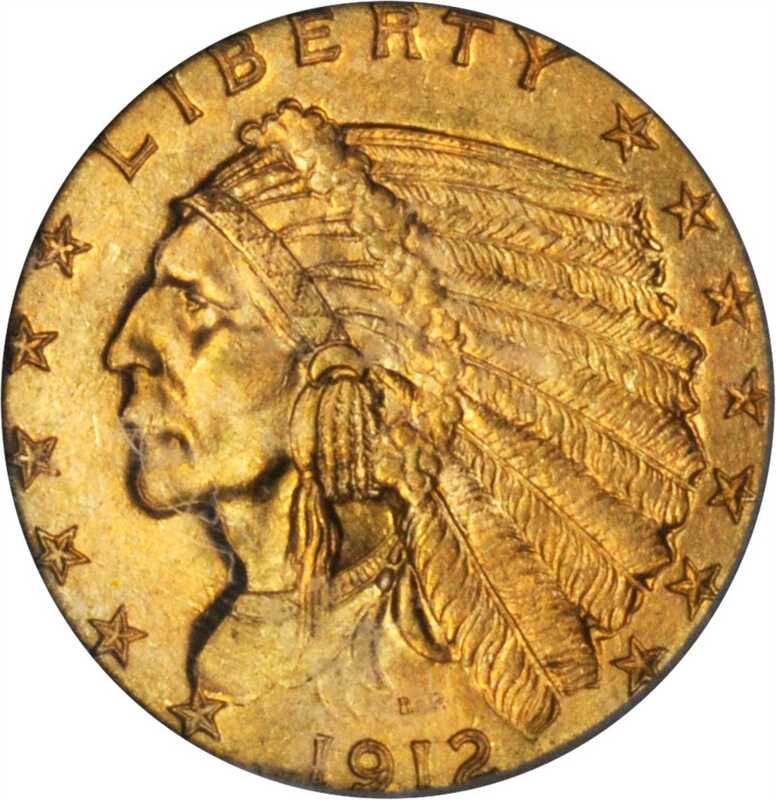 1912 Indian Quarter Eagle. MS-65 (PCGS).A gorgeous roe-gold example with uncommonly smooth and well preserved surfaces for this conditionally challenging issue. Sharply struck with full mint luster in a rich frosty texture. At and above the MS-65 grade level, as here, the 1912 is the rarest issue of this type after only the 1911-D, 1914 and 1914-D. This is certainly a superior quality survivor -- among the finest that we have handled in recent memory -- and it represents an important bidding opportunity for the astute 20th century gold collector.